Peter Ellington has years of experience writing about internet marketing issues and enjoys sharing his knowledge. He also likes helping out a tutoring company, https://smiletutor.sg. Do you know that there’s actually a way to get more targeted traffic and target keywords with less competition, that can still produce the right results for your blog or website? Actually, some of these keywords will be easier to rank for and provide you with better quality traffic that’s easier to convert? We’re going to look at how to get more targeted and motivated traffic from keywords that are far more easy to rank for. Why Aren’t Broad Search Terms Always the Answer? When you try and target broad terms – you’re getting a lot of people who’re just looking for a free ride. You might think that more traffic is always better – but it isn’t. You could even argue that some types of traffic are a waste of bandwidth. Think about the time and effort it takes to rank for a highly-competitive, broad search term. Yes – if you get to the first page of Google you’ll get loads of traffic. But you’ll always be at the cutting-edge of competition with loads of other people trying to take your place. When you combine that with the theory that a lot of these visitors aren’t the kind of people who are really looking for what you’re offering – you’ll soon want to find a better way. How Could the Cost-Benefit Ration of Targeted Multiple Longtail Keywords be Better for Your Business? If you can opt for longer niche keywords that fine-tune your audience, you’ll be able to rank for them easier and get more of the kind of traffic you need to make your business a success. You can throw up ten sites and get them ranked for long-tail targeted keywords in the time it takes you to rank for one broad term. Not only could you then end up with a similar amount of traffic, you could also get more of the kind of visitors you want. Think about this example for a second: One keyword with 100,000 monthly searches could get you 3% clicks if you get to the 10th place on Google. That’s 3,000 clicks a month. Alternatively, think about a much easier keyword to rank for with 10,000 searches a month. 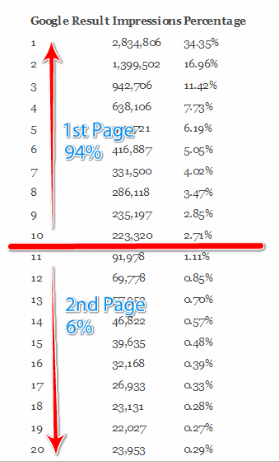 It’s easier to rank for, so you end up in the first place and get 34% of the clicks for that term. That’s 3,400 clicks a month. About the same – but you haven’t factored in how much less time it took, how you were at less risk of being taken out by competitors, and how the keywords are built around terms that give you more motivated visitors. A long-tail keyword adds additional terms to the beginning or end of your term. You can add anything from the current year to any number of additions that fine-tune your audience. But it’s important that you choose the right additions that are designed to deliver you the right sort of traffic. How Could the Right Keywords Produce Traffic that’s More Likely to Make a Sale? 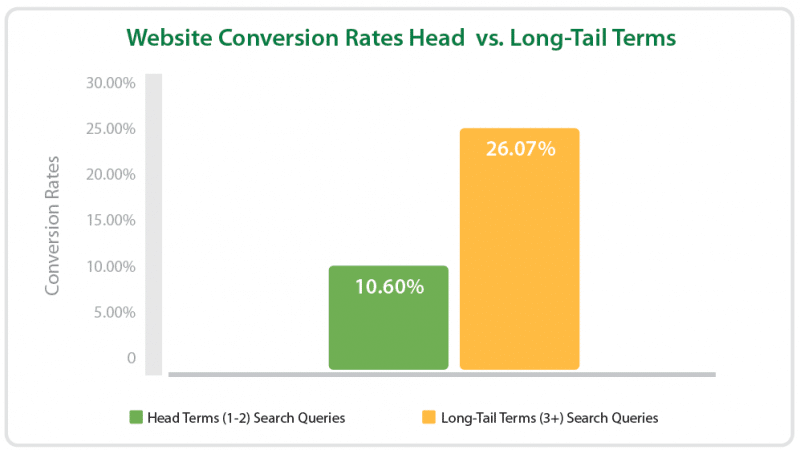 If someone searches for an “active” long-tail keyword like “discount” – they know they’re going to be spending some money, but they just want to see if they can make a little saving before they do so. If you can be there with the saving they want – you could make a sale. This is the sort of visitor you want – people who are motivated to spend money and know they’re about to do so. Additionally, people who have searched for something really niche and specific will be extra pleased when they see someone offering exactly what they were looking for. Some of these people would have entered the search not thinking they were really going to find what they were looking for. And they did. This puts you at another advantage. What are Some Good Keyword Additions? As we’ve just looked at – “discount” is a great one. Some other good long-tail additions include things like “review”. People want to see a review of something before they buy. This one might be surprising – but “scam” or “legit” can work too. People use these terms when they first hear about a product to check if it’s legit before they buy. If you can be there to reassure them, you could make a sale. The current year is another good one – as there’s so much outdated information in the internet, people like trying to find relevant and recent stuff. Again, offer them what they’re looking for and you could make a sale or a conversion. What are Some Keyword Additions to Avoid? You want to avoid keywords that deliver passive, non-spending visitors. Keywords they bring in this sort of traffic are things like “free”. These people are looking for a free ride, and probably don’t want to spend any money. So don’t waste your time on them. 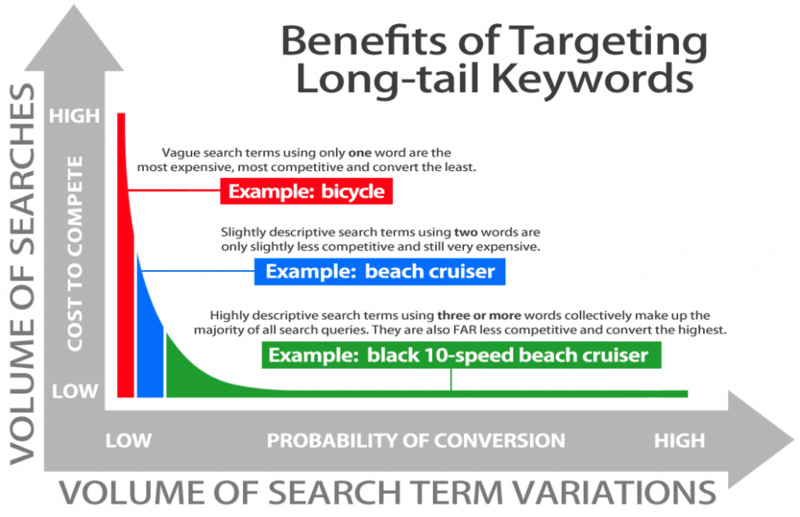 Hopefully, these tips have shown you how long-tail keywords could be what your business needs to start getting more targeted traffic, more easily. To make your long-tail keyword research work easier, do check out Mondovo’s free keyword research tool to get the right set of keywords for the right audience. Q&A: What are the must have tools for the SEO Professional? Thank you, Peter.Useful article indeed. The internet is becoming more and more crowded day by day.So It is really challenging to find uncontested keywords and work with them.